The art of practicing medicine has been around for thousands of years. Cave paintings depicting the usage of plants to heal have been radiocarbon-dated as far back as 27,000 years ago. (Source: Soliant Health) There has been evidence of prehistoric surgical procedures, but the earliest known surgical texts date back to ancient Egypt approximately 3,500 years ago. (Source: The Art of Medicine in Ancient Egypt) Surgery is an ever evolving practice. 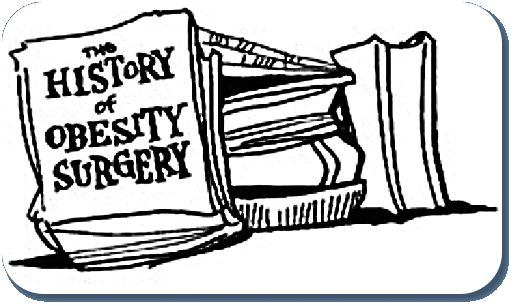 Though surgery in general is a historic practice, surgery for weight loss is still considered new. The first weight-loss surgery performed was a Gastric Bypass surgery in 1954 by Dr. A.J. Kremen. Kremen and his team connected the patient’s upper and lower intestine, which bypassed a large amount of where the calories are absorbed. This procedure was later altered by adding a jejunocolic shunt in 1963. This technique was applied by Drs. Payne, DeWind and Commons. It was referred to as a Jejuno-ileal Bypass and it connected the upper small intestine to the colon. Though the new technique was better than the original Gastric Bypass, it caused uncomfortable medical problems such as uncontrollable diarrhea in patients and changes were made to improve the procedure a few short years later. In 1967 Drs. Mason and Ito developed a mini-gastric bypass, which involved a stapled stomach and a bypassed small intestine. This procedure at the time was referred to as an Intestinal Bypass. The bypass technique showed great weight loss but had a long list of complications including anastomotic leaks, anemia, and vitamin deficiencies. Through some technique alterations, this procedure transitioned to what is known today as the Roux-en-Y procedure. In 1996 the Roux-en-Y procedure was established by Drs. Scopinaro and Gianetta. It now loops from the upper stomach to the small bowel and has fewer complications than the original Intestinal Bypass. The modern techniques that we know today didn’t begin taking shape until the early 1990’s. Two new surgical procedures were introduced that began to change the weight-loss surgery industry as a whole. In 1990 the Gastric Band was introduced by Drs. Kuzmac and Yap, followed by the development of the Duodenal Switch in 1993 in which Drs. Hess and Marceau brought an end to stomach ulcers. Many medical advances in bariatric surgery have occurred over the past fifty years, but it wasn’t until the late 1990’s that this weight-loss option started to gain popularity with patients. In 1998 Roseanne Barr underwent weight-loss surgery and publically announced it on her talk show driving a great deal of attention to her surgeon, Dr. Forbi. In 1999 Carni Wilson, singer of Wilson Phillips, broadcasted her weight-loss surgery over the internet to over 500,000 viewers. 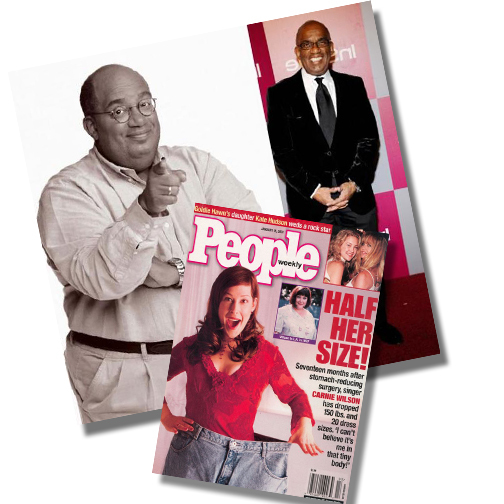 The biggest attention grabber of all happened in 2002 when Al Roker, of The Today Show, underwent gastric bypass and lost over 100 pounds. After Al Roker’s success, the weight-loss surgery industry saw a 40% increase in the number of surgeries completed from the year prior. Every year since then there has been a notable increase in the number of surgeries performed each year, from approximately 80,000 in 2002 to around 200,000 currently, according to the American Society of Bariatric Surgery. To learn more about weight-loss surgery options attend one of our free bi-monthly bariatric surgery seminars on the first Thursday and the third Monday of every month. Register for this free weight-loss surgery seminar today! FirstHealth Moore Regional Hospital in partnership with Pinehurst Surgical also offers comprehensive care when it comes to weight loss and weight-loss surgery. Our comprehensive Bariatric Surgical Program serves patients in the Pinehurst, Sanford, Raeford, Laurinburg, Lumberton, Troy and Rockingham regions of North Carolina and beyond. Call (800) 213-3284 with questions or for more information.